TURKISH TULIP FORM: A bent lamination modular form based on the Turkish tulip. The motif of a tulip flourished during the Tulip Era (1718-1730) in Ottoman history. The flower stands as an emblem symbolizing abundance, nobility and indulgence. This piece studies the depiction of tulips in traditional Turkish textiles and titles, utilizing a relatively modern method of bent lamination to transform a 2D print into a 3D sculpture. I used to live in Istanbul and my adoration for tulips comes from the well renowned Tulip Festival celebrated in April. 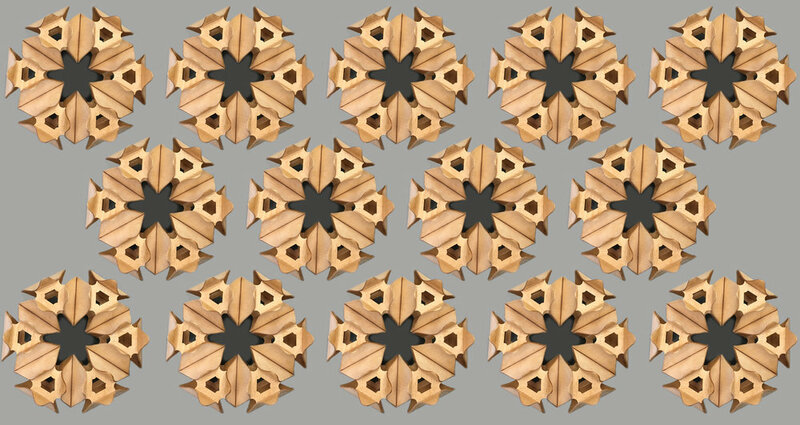 This piece consists of a modular form repeated 6 times, emphasizing both the cluster of tulips and the orderly manner in which the flowers are presented during this Festival. 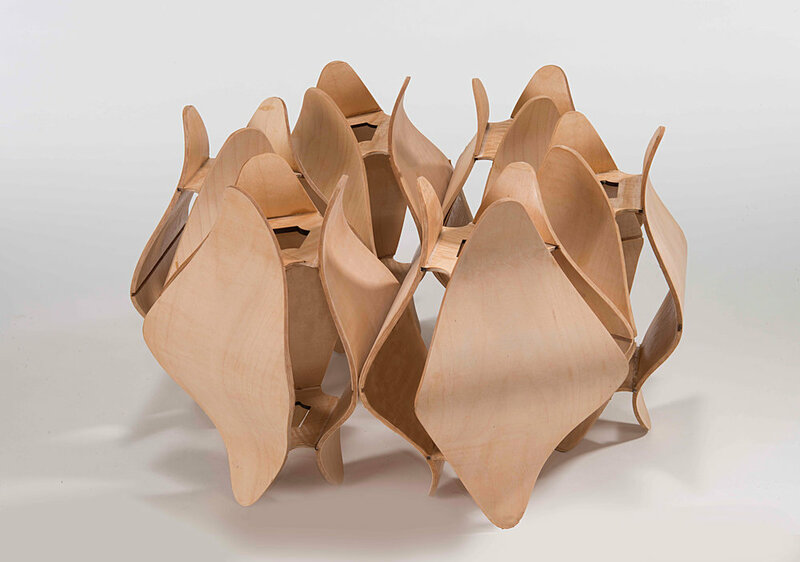 7 sheets of maple veneer were laminated and vacuumed pressed on solid wooden molds to create a single curved petal. A total of 18 petals were created. 5 sheets of maple veneer were laminated and then laser cut to create the triangular interior shape.